Worthing and Adur’s police chief has hailed significant progress in the fight against gangs dealing drugs on our streets. Chief Inspector Miles Ockwell said there has been a drop in violent crime as a result. He said: “At the moment I have got to say things are going quite well. “People will say ‘there’s a lot of people dealing drugs’, and there is a bit. “When I started you were getting quite a high level of serious violence associated with ‘county lines’ drug supply and, actually, that has been reducing quite significantly in my opinion. Ch Insp Ockwell, district commander for Worthing, Adur and Horsham, said the area has seen just over a five per cent reduction in violence with injury offences. Ch Insp Ockwell said success against county lines in our area is due to ‘a number of different things’. By working in partnership with other agencies, police have been able to deliver a sharp blow against cuckooing, he said. He added: “When I first started, we had a lot of addresses which were high-risk addresses. Ch Insp Ockwell believes that by visiting these types of address every day to check on residents, police have been able to deter drug dealers from targeting them. What is more, police have been targeting ‘specific, prolific offenders’ successfully, he said. Could you spot the signs of county lines drug dealing in your area? 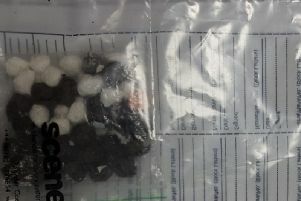 What is your experience of drug crime in Worthing? Email your views to michael.drummond@jpress.co.uk.